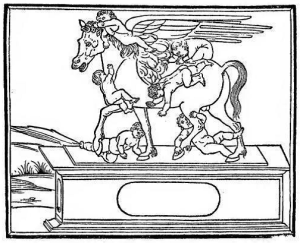 EN – The peculiar iconography of the winged horse surmounted by several puttos, as appears in the Hypnerotomachia Poliphili sixth woodcut, turns out to be unprecedented and enigmatic at a glance and it’s the result of the depth and complexity of the author’s concepts. Considering the iconographic details of the sculptural group as well as the text scattered with allusions to the classical and humanistic sources, the symbology of the winged horse is brought back to the pertinent context of ambiguity between Fortune and misfortune, which acts as interpretation setting for the symbolic imaginary at the beginning of Poliphilo’s journey of initiation. In particular, the symbology of the horse, interpreted as horse of the lost Fortune, is confirmed through the memory of the “seian horse” mentioned by Poliphilo, which could disclose the connection with two figures belonging to the history of ancient Rome, referring in fact not only to Cneius Seius’ horse, but also to the eques Lucius Aelius Sejanus and perhaps to the temple of Fortuna built nearby the Domus Aurea, defined by Plinius “aedem Fortunae quam Seiani appellant”. 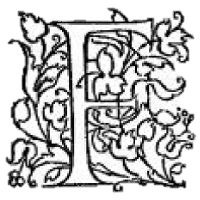 Therefore, the author of the Hypnerotomachia Poliphili intends to show his own complex idea of the Fortune, recalling and surpassing the ample compendium about it and about its contrast with the Virtue matured in literature and humanistic discussions. Francesco Colonna so chooses the image of the winged horse in order to transmit the significance of Fortune unreliability and transience, counterposed to the sturdy Wisdom, evoked by the representation of the elephant and obelisk, later introduced in the narration. A universal Wisdom that should also embrace the earthly feelings and the intellectual pleasures, able to overcome any misfortune hardships: that’s recommended as the sum purpose of Virtue and knowledge practice. 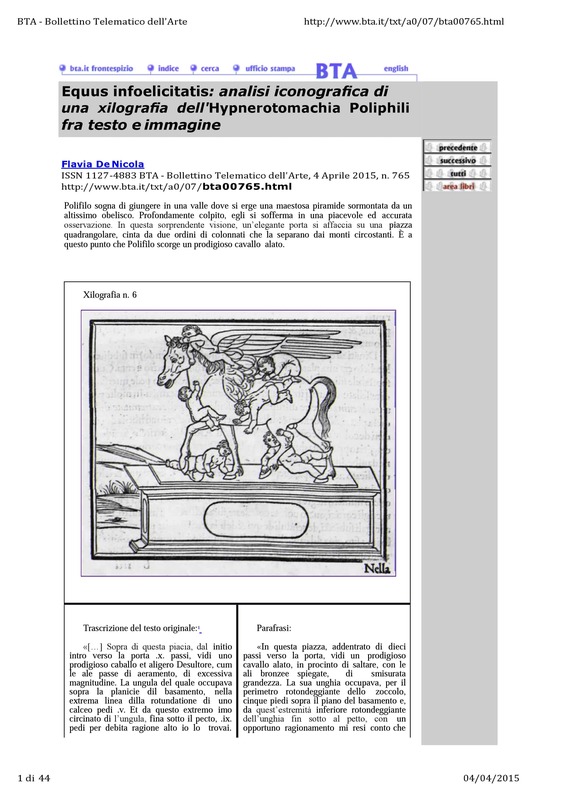 IT – La particolare iconografia del cavallo alato sormontato di puttini che appare nella sesta xilografia dell’Hypnerotomachia Poliphili risulta inedita e a prima vista enigmatica, frutto della profondità e complessità dei concetti ai quali l’autore intende alludere.